I wanted to love A Wrinkle in Time because it is a Disney movie, and I generally love all their stuff, because it is directed by Ava DuVernay, and has an incredible cast, including Oprah Winfrey, Reese Witherspoon and Mindy Kaling, but I just came away feeling a bit meh. It was fine, I guess I liked it, but I didn’t connect with the story at all. It doesn’t feel like awards season ever really stopped, but it’s properly back in full swing! WOOHOO. Lily Collins announced that she was back together with Jamie Campbell-Bower this week with this kiss pic. How adorable! The pair first dated between 2012 to 2013 after meeting on The Mortal Instruments set. Awww! 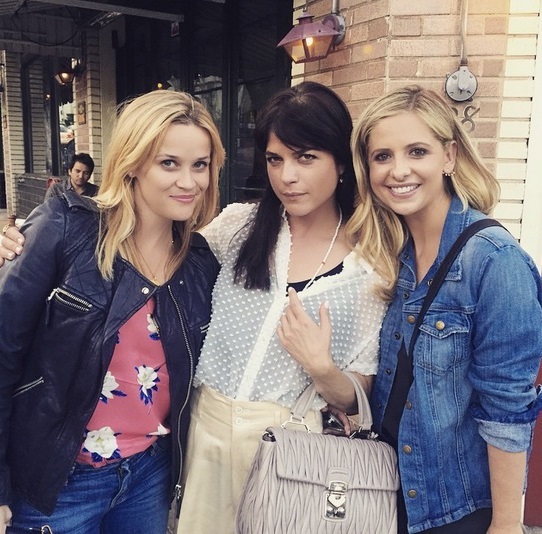 Reese Witherspoon, Selma Blair and Sarah Michelle Gellar reunited this week to catch the unauthorised musical of the 1999 teen drama (see picture above) and fans of the movie were so happy!! Selma and SMG also recreated that infamous lesbian kiss. Lena showed off her new body confidence on Instagram and so she should too! The Girls star has been working out loads and is definitely more toned because of it. Work it girl! 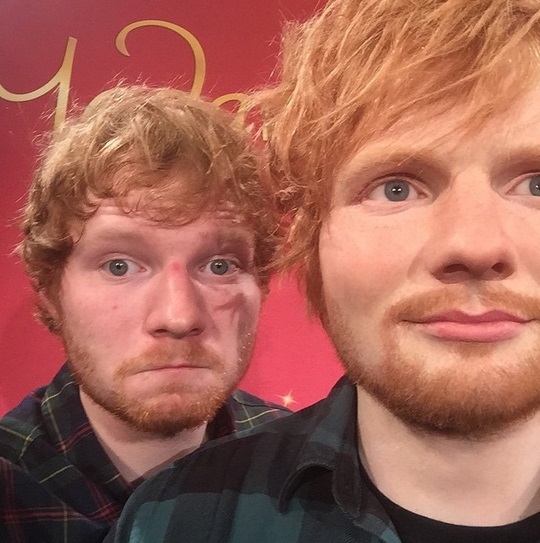 Ed came face to face with his doppelganger at Madame Tussauds New York this week and I have to say I’m pretty impressed with the likeness. Sometimes waxworks can be so naff! What I love about this picture was the caption – Ed said he was happy that his waxwork had “a bulge” in the trouser department. Ha! Arnold Oceng, the leader of ‘the Lost Boys of Sudan’ in The Good Lie, came to a Q&A about the drama after a screening. 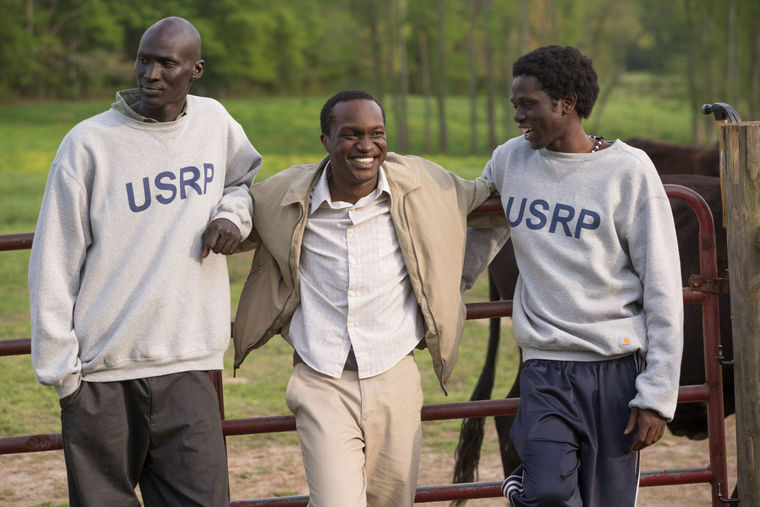 The film is about refugees who trek thousands of miles from South Sudan to a refugee camp in Kenya to escape the civil war. They are later resettled in America and have to adapt to a new way of life. I would recommend The Good Lie to everyone not just because it is a beautiful story but because it is one I have never heard before. I had no idea about the refugee settlement programme that brought those from the Kakuma refugee camp in Kenya to the U.S. to start a new life.